Last year, grief therapist Patrick O’Malley and I published “Getting Grief Right: Finding Your Story of Love in the Sorrow of Loss.” We suggest in the book that there is no right or wrong way to grieve, that each person’s experience of mourning is as unique as a fingerprint and that, therefore, there are no reliable models, no steps and stages to which the pain of loss must conform. Those ideas are based on Patrick’s own suffering after the loss of his infant son years ago, and the experiences of so many of his clients in the decades since. Grieving is difficult enough, they have learned, but so often complicated and magnified by the notion that a person is not grieving in the correct way, that he or she is weak, defective or malingering because suffering is more intense than expected or has lasted beyond some arbitrary expiration date. “Getting Grief Right” suggest a different way, while invoking the wisdom of people like Fred Rogers, who believed that there is “no should or should not” when it come to feelings, that their origins are beyond our ability to really understand. Feelings just “are.” The best we can do is to feel and express them without hurting others, embrace them even, without judging our often-tattered insides along the way. The book has been a source of comfort to many people grieving the loss of another through death. For that we are very grateful. But I think its ideas can be much more broadly applied. There are so many other kinds of losses in this life …relationships, jobs, health, dreams … the list goes on. Not to mention the wounds lingering from childhood or the moments when most of us, at one time or another, feel insufficient to this business of living. Fred Rogers believed that these private torments, so carefully concealed, are actually what humans have most in common. “What is most personal is most universal.” Yet we are so often ashamed of our inner messiness, comparing our hurting insides to the relatively sunny exteriors of others. Such is reality in a world that puts such a premium on happiness and treats human feelings as character defects. There are alternatives, I think. Sharing our most authentic selves with trusted others. Slowing down to let our demons catch us. Leaning into our feelings, particularly the most difficult ones. Extending compassion to ourselves. There is something sacred about suffering this way, something liberating and healing and true. It sounds so simple, yet it is incredibly hard, contrary to what we have been taught, contrary to what the world around us seems to model. 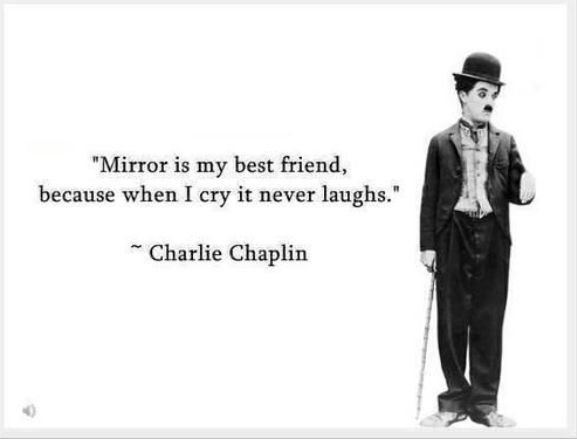 Isn’t it ironic that one of life’s greatest challenges is this: befriending the one in the mirror? Visit this link for more imformation about Getting Grief Right and Tim’s other books, including I’m Proud of You: My Friendship With Fred Rogers.